The Posterity Heights development will be located on the southeast side of Fort Wayne, Indiana and will sit on the 28 acres once occupied by McMillen Park Apartments, a low-income apartment complex demolished by the City in May of 2011. The Posterity Heights vision is to transform the southeast side of Fort Wayne through a first of its kind four-phased energy efficient and technologically innovative critical-scale, community-based development. The first phase of Posterity Heights, Posterity Scholar House, will consist of 44 units in two separate two story buildings. This phase will be a $13M investment to Posterity Heights. 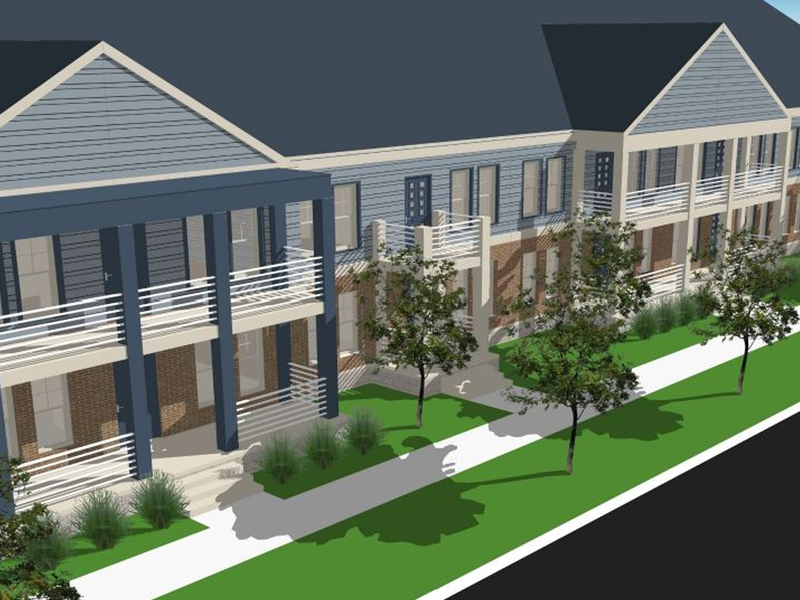 The project has received low-income housing tax credits from the Indiana Housing Authority. Posterity Heights will target low-income single parents that are enrolled in College and have begun their journey to self-sufficiency. This phase will also incorporate a net-zero energy solution leveraging a 500KW solar array and five electric vehicles for car sharing. The second phase of Posterity Heights, Posterity Place, will consist of a 10,000 square foot Housing Life Development and Innovation Resource Center and a 42,000 square foot commercial strip center. Site development will consist of a public park area, an urban acquaponic farm, and a solar array. The third phase of Posterity Heights, Posterity Village, will consist of 52 townhomes in ten separate buildings. Posterity Place will be an elderly development with an emphasis placed on serving the needs of Grandfamilies (i.e. grand parents that have custody of parenting their grand children). The fourth phase of Posterity Heights, Posterity Point, will consist of 45 single family, market rate homes. Similar to the other phases, we will continue offer a similar technology platform including electric vehicles and a large solar array.